Every year 30,000 children in the UK are diagnosed with a genetic disorder. And yet most of us know little about them. Here are six common myths – and the truth behind them. With about 6,000 different known genetic disorders in the world, and an estimated one in 25 children in the UK affected by one, the chances are you’ll know someone with one – or the family of a child who has been diagnosed. However, not all genetic disorders are apparent. And many of us aren’t aware of what one is, or how it can affect people. Genetic Disorders UK Genetic Counsellor Emily Clarke was diagnosed with retinal dystrophy at the age of six. And, to help us learn more about genetic disorder on Jeans for Genes day, she’s sharing six of the most common myths – and the REAL truth behind them. Fact: They don’t. 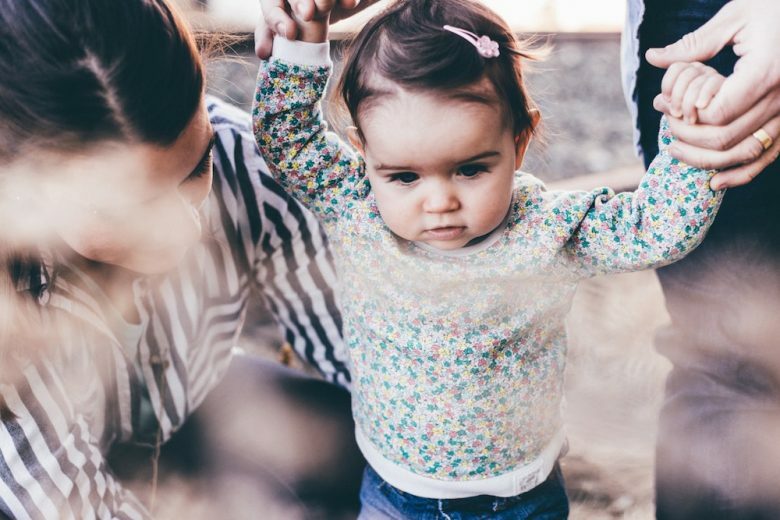 Some genetic disorders can appear to ‘skip’ a generation if a parent is an unaffected or very mildly affected ‘carrier’ of a certain condition. For example, a parent with Van der Woude syndrome, a condition that affects the development of the face and can cause cleft lip and/or palate, may have a child with very mild or no signs of the condition who then goes on to have a child with significant symptoms. Fact: Many genetic conditions occur ‘out of the blue’ without there being any known family history. It may be that by chance both parents are healthy ‘carriers’ of the same recessive genetic condition and have a 1 in 4 chance of passing the condition on to each child they have. In some very rare cases, a genetic disorder can even occur in a child due to a new spontaneous genetic change that has arisen for the first time in them, and has not been inherited from either parent. Myth 3: The chance that my second child will inherit an altered gene is lower than my first child. Fact: The chance of passing on an altered gene is the same for each pregnancy, no matter how many children you have or where they are in the birth order. Fact: At the present time, there is no treatment that can correct the underlying genetic alteration causing a genetic disorder. However, there are some drugs and other interventions available that can often help ease symptoms and there is also a huge amount of research ongoing to improve treatments and develop new therapies, including gene editing. Support is also readily available to children, families and support networks, through charities such as Jeans for Genes. Fact: Some genetic disorders will affect females and males differently. As females have two X chromosomes and males have one X and one Y chromosome, if there is a genetic change in a gene on the X chromosome a male can develop symptoms where as a female may only have mild symptoms or no symptoms at all. For example, the genetic condition Duchenne Muscular Dystrophy, which affects boys. Fact: Although some genetic disorders can affect facial features and be physically noticeable, such as Down’s syndrome and Achondroplasia (a form of short-limbed dwarfism), you certainly cannot always tell by looking at someone whether or not they have a genetic disorder. Many genetic conditions are invisible, such as Cystic Fibrosis and Hypertrophic cardiomyopathy, which is a disease of the heart. Every September, Jeans for Genes run an annual fundraising campaign which provides grants to organisations and projects that aim to transform the lives of children and families with genetic disorders.